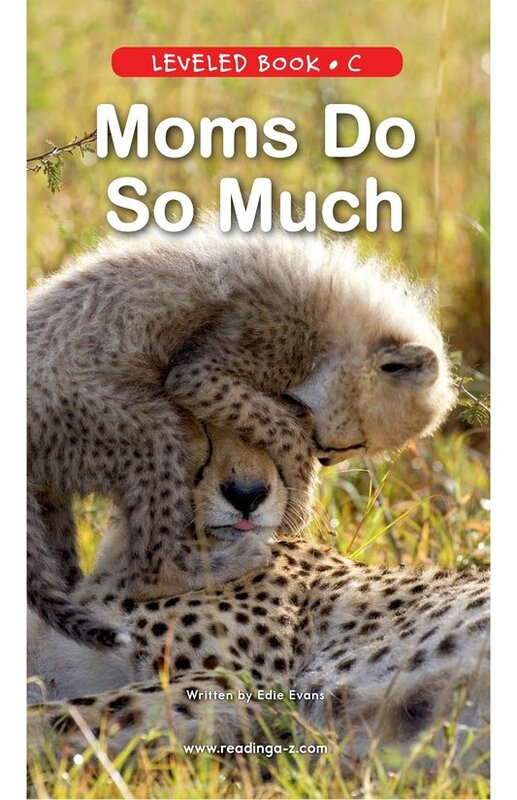 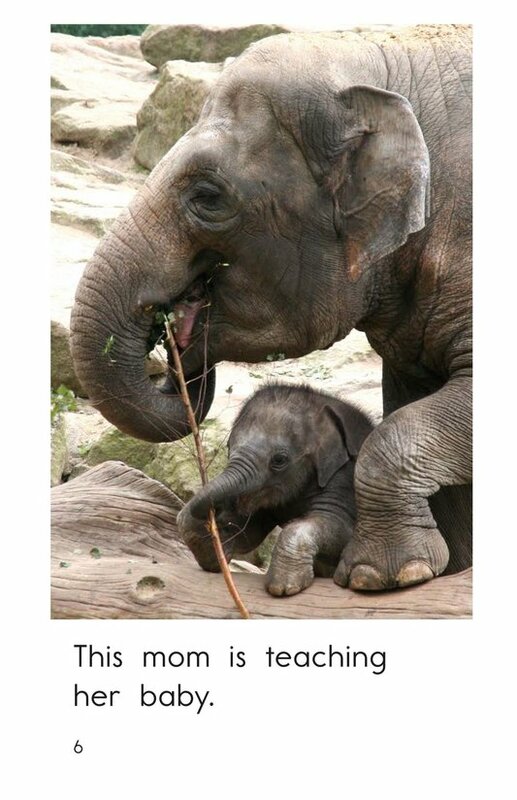 Moms Do So Much shows students similarities between wild animal moms and their own moms. 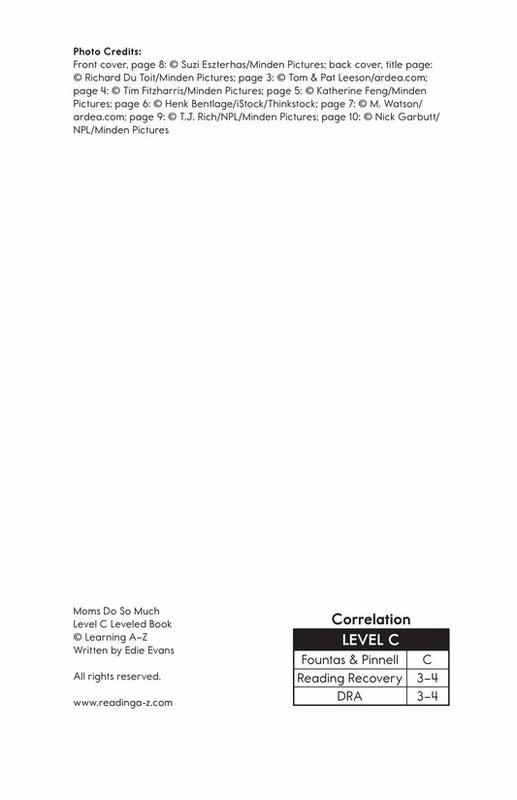 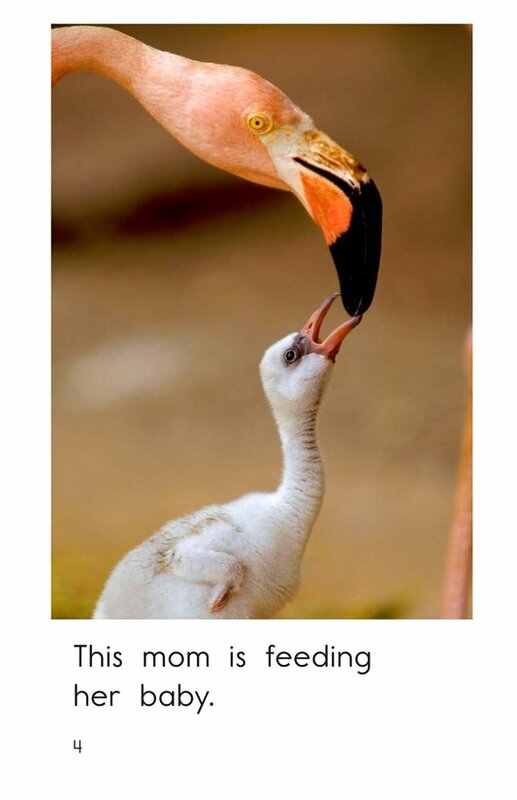 Detailed photographs, high-frequency words, and repetitive phrases support reader comprehension. 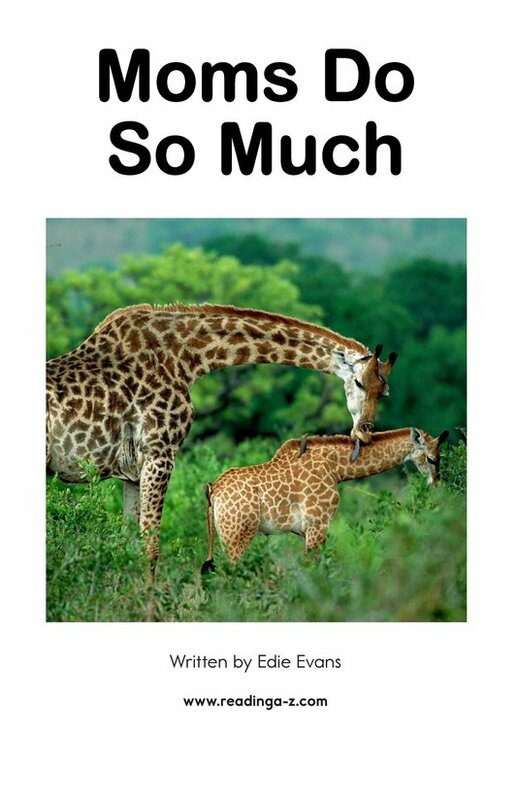 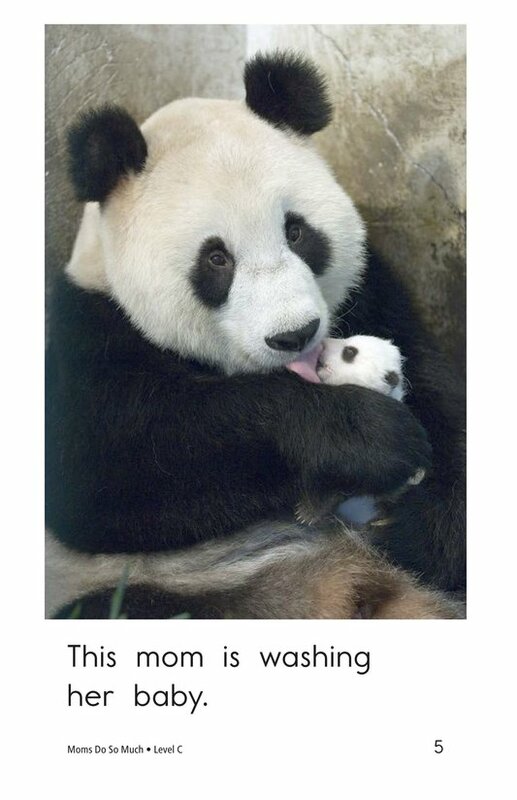 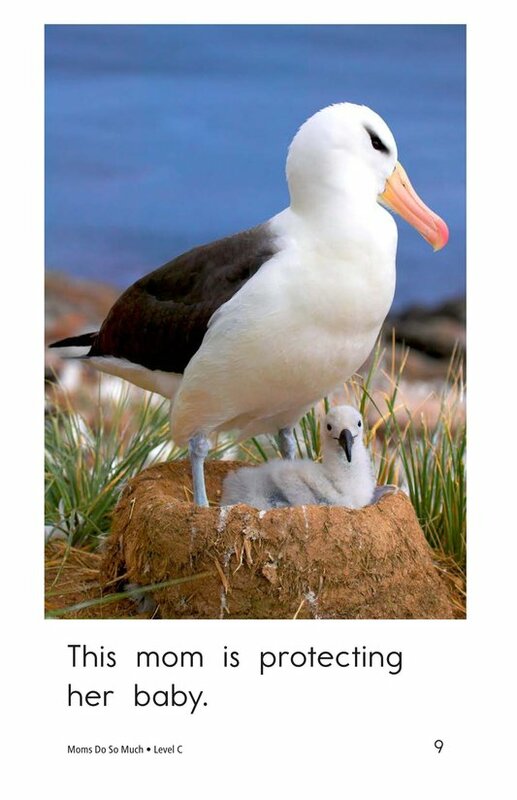 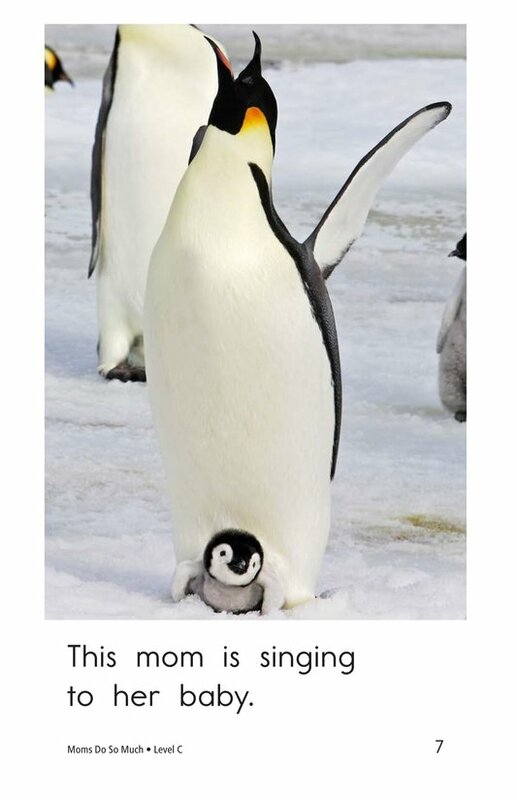 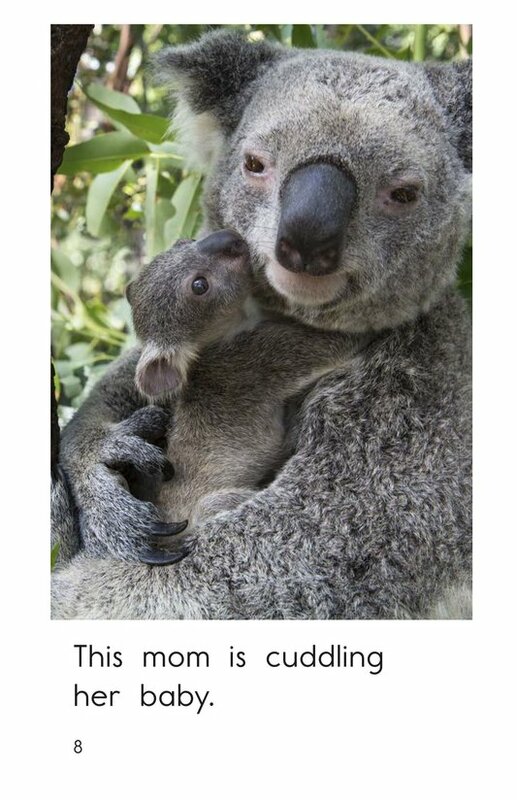 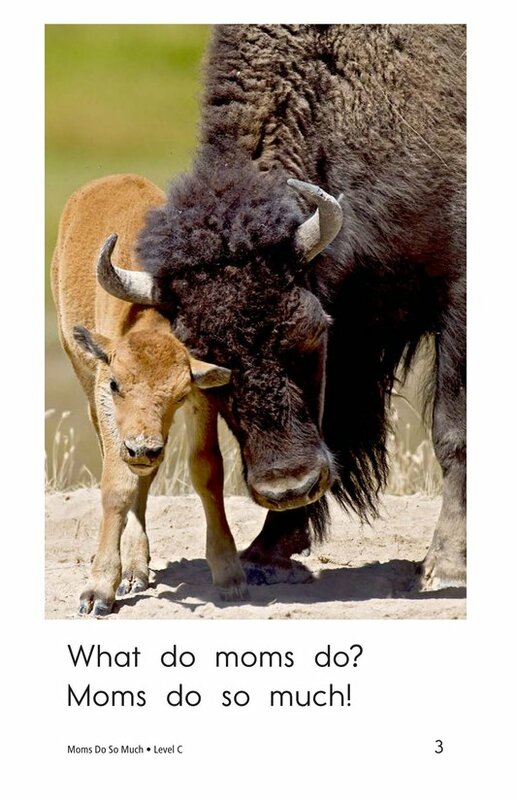 In addition, students have the opportunity to determine the author's purpose and connect to prior knowledge as they read this engaging book about animal moms.